Drying your property fast prevents termites after water damage! Believe it or not, termites are attracted to certain odors produced by indoor mold growth. 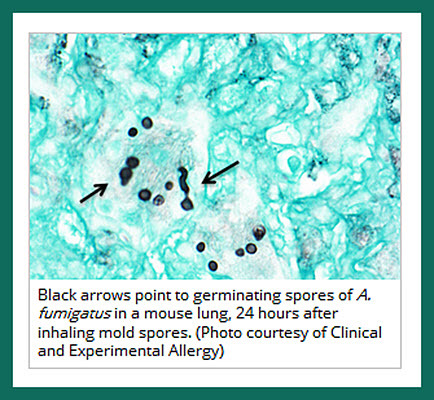 Mold produces mycotoxins, sometimes called the Volatile Organic Compounds (VOC’s). The VOC’s produced by mold makes the wood in your home seem especially yummy to termites. From an evolutionary perspective, the destructive partnership of mold and termites makes sense. The mold that eats the wood in your home makes the wood tastier to termites. Mold also makes the wood easier for termites to penetrate and digest. And, mold provides key nutrients in a termite diet. The termites help mold growth. They soften and tunnel the wood. And that increases the area and ability for molds to spread and endure. And, just like mold, in order for termites to survive, they have to maintain contact with a moisture source. 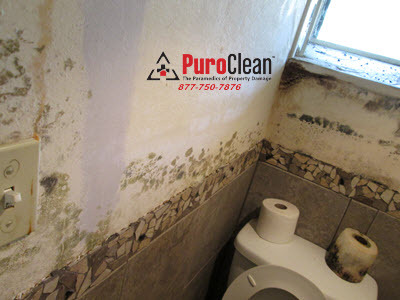 Therefore, the same moisture sources that cause fungal wood decay can encourage termite infestation. 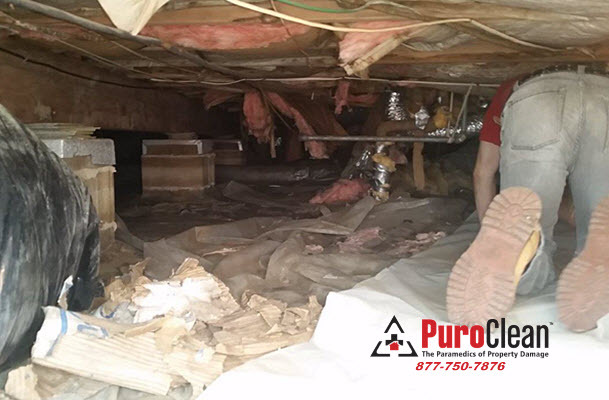 So, a dry environment in your home’s basement, crawl space or attic not only inhibits mold growth, it stops termites because they are extremely vulnerable to dehydration. And then fix them fast! 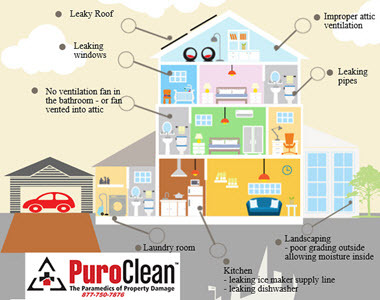 Any of these moisture sources create the perfect environment for mold growth and termites. However, knowing if you have termites before they show themselves in a swarm is difficult. First, termite damage often appears similar to water damage. Signs of both water damage and termite damage include buckled wood, swollen floors and drooping ceilings. 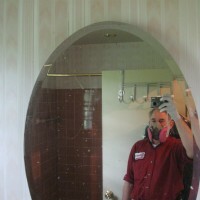 Second, termite infestation often produces an odor similar to mildew and mold. And, third, when termites do make their appearance, termites are often mistaken for flying ants. If your home experienced water damage from a recent flood or storm damage, and it might not have been dried completely, and/or there is evidence of mold damage it’s important to hire a trained pest control professional to assess whether your home has termite damage. 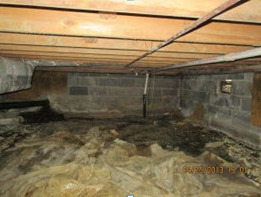 First, keep your crawl spaces empty! No matter how tempting it is to store excess lumber in it, don’t! That’s like giving termites an open invitation to your home. Second, while you’re cleaning out the crawl space, decrease humidity. 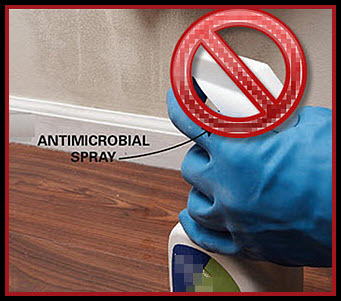 Clear the vents of dirt and debris. 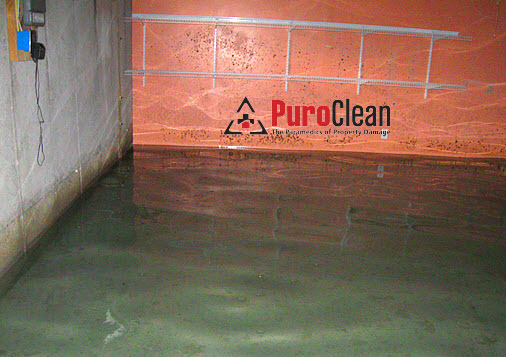 And, if you need additional moisture reduction, give us a call. 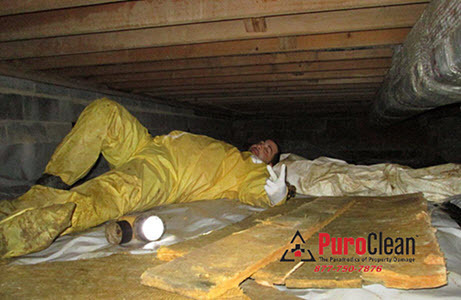 We can help you further reduce moisture in the crawl space by laying down polyethylene vapor barrier. Third, keep any wood attached to the outside of your home at least 12 inches off the ground. 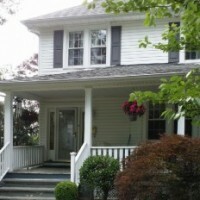 If possible, remove any wood siding that’s in contact with the ground. In addition, keep any decorative wood latticework, wooden doors or window frames away from contact with the ground. Fourth, stop those leaks! – both indoors and outdoors. Remember, termites and mold both need moisture to survive. Clean gutters, blocked downspouts and remove anything that doesn’t allow water to flow away from the house’s foundation. Make sure that outdoor faucets aren’t dripping. These create wet spots adjacent to the house. And indoors, check bathroom and kitchen cabinets often for leaks under the sink. And finally, reconsider using mulch around your home’s perimeter. Mulch around the base of your home attracts termites for 2 reasons. First because the wood chips provide the cellulose-containing food that termites love. Second, when mulch is piled against the walls of your home, it doesn’t let water drain. 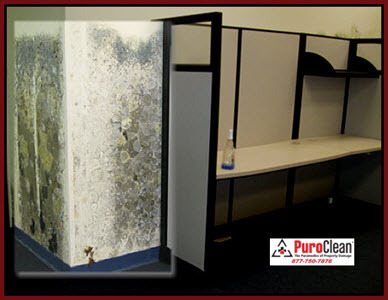 This creates a perfect habitat for mold and termites! So, if you feel you absolutely must use mulch to protect your plants, don’t let mulch mound up against your home’s foundation. Remember: If you suspect you have a problem with termites after water damage, and if you need help finding a reputable exterminator, give us a call. We know several licensed professional exterminators in our Greater Philadelphia and South Jersey area we would be happy to refer to you. 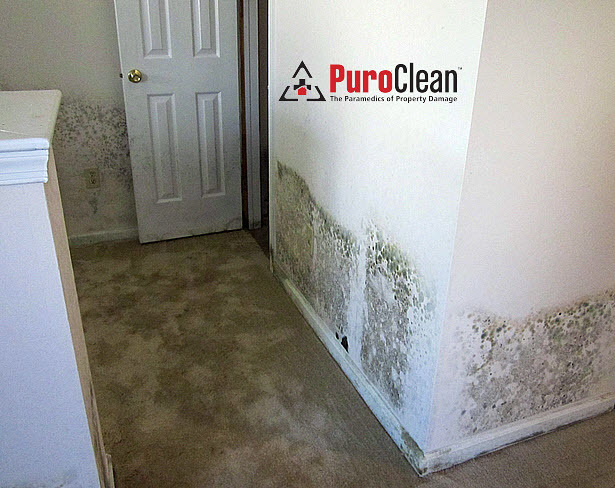 To prevent mold and termites after water damage, get your home dry as quickly as possible after water damage of any kind by calling 877-750-7876!